Jason J. Redd | Professionals | Gibbons P.C. Jason Redd brings a wealth of strategic public affairs experience on a wide range of policy issues to Gibbons. 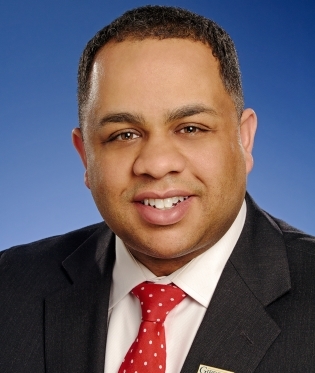 Having spent the past decade serving in roles at the highest levels of New Jersey government and lobbying on behalf of a broad client base, Mr. Redd possesses the unique combination of internal knowledge and external experience critical for successfully navigating the challenging realm of politics on behalf of clients. His longstanding relationships within government, insight into the legislative and executive processes, and deep understanding of the regulatory issues faced by businesses in the current economy enhance the services he provides. Prior to joining Gibbons, Mr. Redd served as Deputy Executive Director and General Counsel to the New Jersey Senate Majority Office, where he managed a 40-person legislative operation working on behalf of 24 senators. Additionally, Mr. Redd has served as Senior Counselor to the Senate President and Chief of Staff to the Senate Majority Leader, where he functioned as principle advisor and negotiator on issues ranging from school funding and healthcare reform to economic development and government transparency. Beyond his prominent roles within government, Mr. Redd has successfully lobbied for a diverse range of client interests at the state and federal levels while working for Gibbons. Mr. Redd has been widely recognized for his achievements in government affairs. He was a 2016 recipient of The Network Journal’s “40 Under Forty Achievement Award” and has been named to the New Jersey Super Lawyers Rising Stars and New Jersey Law Journal “New Leaders of the Bar” lists. In 2014, Mr. Redd was named “Young Alumni of the Year” by the Edward J. Bloustein School of Planning and Public Policy at Rutgers University, where he is an adjunct professor of public policy. Mr. Redd is extensively involved in pro bono and community service, including work on domestic violence and mental illness, and is a former President of the Trenton Board of Education. Mr. Redd is extensively involved in pro bono and community service. In 2015, he worked with Americans for Responsible Solutions and former Congresswoman Gabby Giffords to raise awareness of legislation providing additional protections for survivors of domestic violence. Since 2011, he has been an instructor with the New Jersey Council on Developmental Disabilities Partners in Policymaking (“PIP”) Program, a leadership training program for individuals with developmental disabilities and their families. He is a former President of the Trenton Board of Education and a Board Member of both New Jersey Needs You, part of a national program to provide mentoring and guidance to first-generation college students, and the National Alliance on Mental Illness, Mercer County Chapter. In addition, Mr. Redd is a part-time lecturer at Rutgers University’s Edward J. Bloustein School of Planning and Public Policy. Mr. Redd, former Deputy Executive Director and General Counsel to the New Jersey Senate Majority Office, was responsible for advising the Senate President and members of the Democratic Caucus on various legal and policy issues. He also previously served as Chief of Staff to Senate Majority Leader Loretta Weinberg and held various counsel positions in the New Jersey Senate and New Jersey General Assembly Majority Offices. While in these roles, he analyzed and proposed policy solutions on varied healthcare, insurance, and medical profession issues, managed legislation, and negotiated amendments among sponsors, state agencies, advocacy groups, and the Governor’s office, among many other responsibilities. For example, Mr. Redd worked closely with Majority Leader Weinberg, cancer survivors, and the Christie Administration to craft the bipartisan Oral Chemotherapy Access Bill, which mandates that insurance policies provide coverage for orally-administered cancer medications on par with coverage for intravenous treatments. The law took effect in 2011. He also worked with various stakeholders to design legislation to enhance the transparency and accountability of hospital finances, including the use of public funds. Mr. Redd also served as Deputy Policy Director to Governor Corzine during his 2009 reelection campaign.